A cross-country trip is at the top of many people’s bucket list and it is an excellent opportunity to explore, sight see or simply to get away from home. 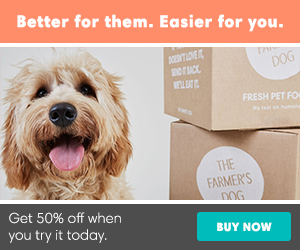 This may also be a great adventure for your pet who you may want to tag along for the ride. When it comes to traveling long distances with your pet, you will need to plan appropriately to lessen their stress and anxiety, ensuring the trip is enjoyable for both you and them. So, if you’re planning a cross-country trip, here are a few tips on how to travel safely with your beloved companion in tow. Take preventative measures before you hit the road and schedule a visit with your veterinarian to make sure your pet is in optimal health and up to date on all vaccines. 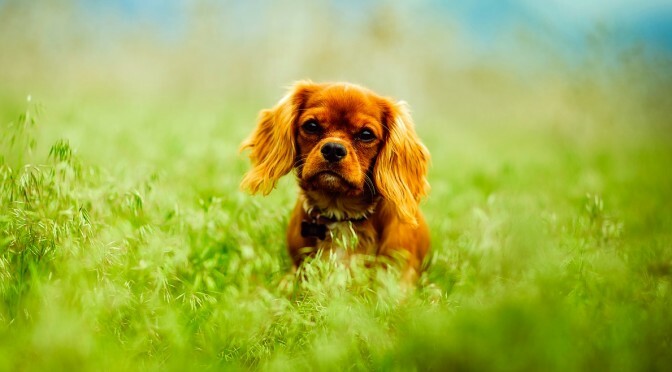 Be sure to discuss with your vet any concerns you may have for your pet including allergies, pest control for fleas or ticks, and treatments for car sickness just in case your pet becomes ill during the long ride. Also consider having your pet microchipped if they are not already. A microchip can help to increase the likelihood of your pet’s safe return if they become lost. You may be taking your personal car for the road trip, renting a larger car or even renting an RV. If you are taking an unfamiliar vehicle be sure to acclimate your pet to it before you start your trip. This will help to lessen the amount of stress they may experience from being in a new vehicle for such a long time. 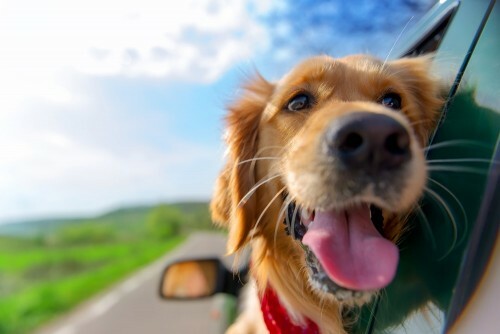 For instance, introduce your pet to the vehicle in advance—have them sniff it, sit in it and get comfortable to reduce their initial anxiety from being in unfamiliar territory. This will set the tone for the trip even before it begins. Next map out your route and choose pet-friendly accommodations. From pet-friendly campgrounds, hotels and dog parks along the way, plan your route in advance to ensure your pet will be welcome everywhere you go. You can even search for pet stores, emergency veterinarians and pet sitters well in advance so that you will have access to such amenities should they be needed during the duration of your cross-country journey. When you pack your bags be sure to pack for your pet as well. This will include packing the essentials like their favorite toys, food and water bowls, their bed, extra collars and leashes, doggy bags, liter boxes and plenty of food and treats. Also consider your pet’s protection as well and remember to pack them outerwear including sweaters or rain coats to counter unpredictable weather. Other important items to pack may include towels to dry them off (and to protect the inside of your vehicle from mud or water), medications if prescribed and a first aid kit should the need arise for additional care. 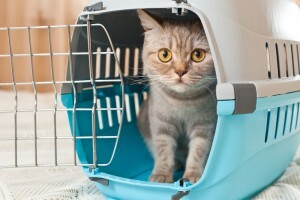 Some animals may fair better inside their travel carriers during long trips instead of having free reign inside the vehicle. Pet carriers will offer them added protection and safety during the trip. This is especially true for smaller breeds of dogs or cats who may have increased levels of stress when travelling such great distances. Also, be sure to stick to as closely as possible to your pet’s normal routine as you are traveling. This will include taking walks at their regularly scheduled times as well as feeding them at the same times you normally would if you were at home. 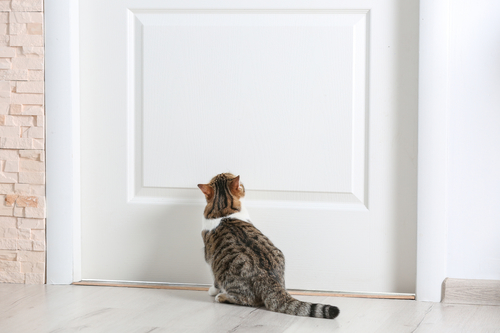 This will put your pet at ease and will also help them stick to their normal routine when they return home. 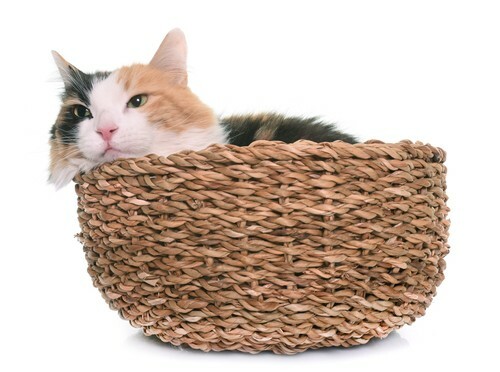 Lastly, be sure to have treats handy so that you can reward your pet for their good behavior. For instance, when your outside exploring new territories and your pet follows your commands to stay close by, reward them for being a good girl or boy. This positive reinforcement will ensure they take the trip in stride, giving you both peace of mind as you have safe travels. So, if you’re gearing up for a road trip, keep any of these helpful tips in mind for a great cross-country adventure. You’ll be able to have worry-free fun while exploring the country with your pet right by your side!